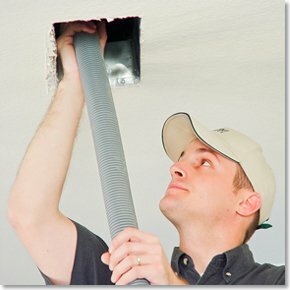 Thinking about hiring a company for your commercial air duct cleaning in Fort Worth? You’ve already taken the first step in creating a healthier, cleaner environment for your customers and employees. KIWI Services’ Fort Worth commercial air duct cleaning service can help businesses of any size improve the overall air quality of their workspaces, resulting in fewer allergy- or respiratory-related issues among staff and customers. KIWI Services has almost 30 years of experience in the field, so we have all of the tools and skills required to thoroughly clean your ducts. Cleaning of the unit, squirrel cage, fan and all the accessible air handling components in the furnace. Removal and hand-washing of vent covers. Vacuuming of individual ducts to remove dust, ashes and other debris. Application of an antimicrobial treatment throughout the system to disinfect and prevent mold. Cleaning of the surrounding vent areas. Reinstallation of the vent covers and a cleaning and replacing of your filter or installation of your electrostatic filter. We strive to provide high-quality service from one small business to another. That means that we’ll gladly work with your company’s regular business or operation hours to ensure that you don’t lose out on valuable customers or employee work time while we complete our job. KIWI Services is licensed, bonded and insured, and typically, our commercial clients are able to write off the full cost of their commercial air duct cleaning on their taxes. Contact KIWI Services today to schedule your business air duct cleaning in Fort Worth.